"The best pies are all about finding the right mix of berries. Meet June, a sweet 12-year-old, whose summer pie-making plans get muddled when her mother decides to marry her girlfriend now that Vermont has made Civil Unions legal. My Mixed-Up Berry Blue Summer is about one girl learning how to be herself and stand up for her new family." 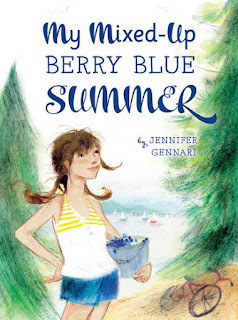 Add your review of "My Mixed-Up Berry Blue Summer" in comments!